Fall in love with knitwear all over again with this gorgeous fun casual knit jumper from White Stuff. 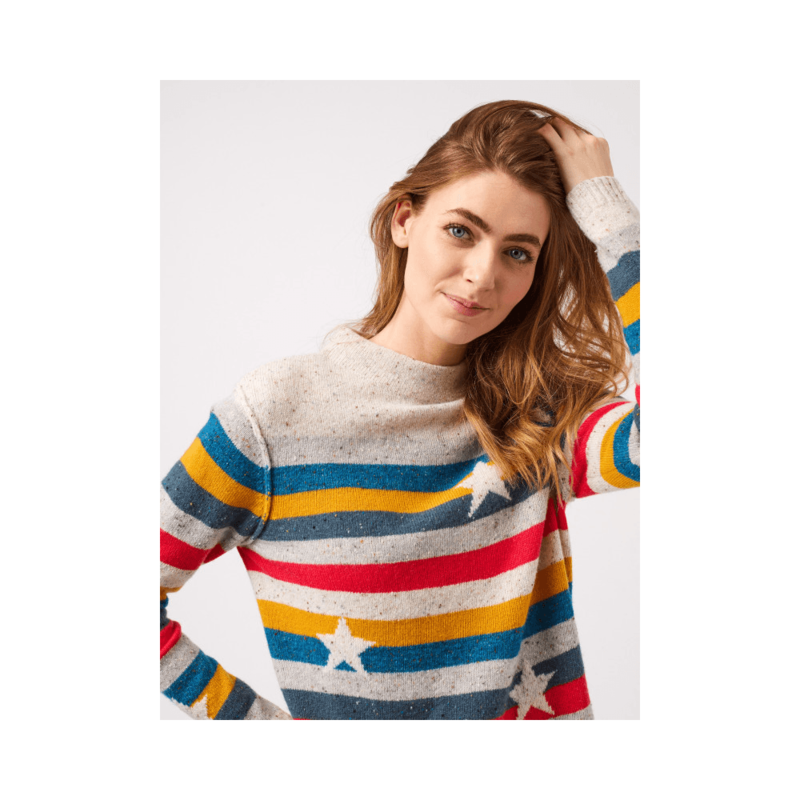 Featuring a warm and cosy neckline, contrast stripes and star design. Stay Warm and feel fabulous in this stunning knit jumper!